Hotovely prepares for the transfer of other embassies to the capital, while addressing row with Turkey and European condemnation. Deputy Foreign Minister Tzipi Hotovely skips between the opening of the US embassy and the opening of the Guatemalan embassy, ​​and in the middle deals with reprimands to ambassadors, expulsion of ambassadors, condemnations by the UN and demands for clarifications from leading countries around the world. Arutz Sheva heard from her about the diplomatic challenges currently underway. "The most important thing that needs to be said is that last month we have been working intensively with the European countries and explaining in the clearest way that Hamas organized a terror demonstration here that has nothing to do with a civil demonstration. Hamas’ entire false narrative is shredded to pieces by facts and footage. 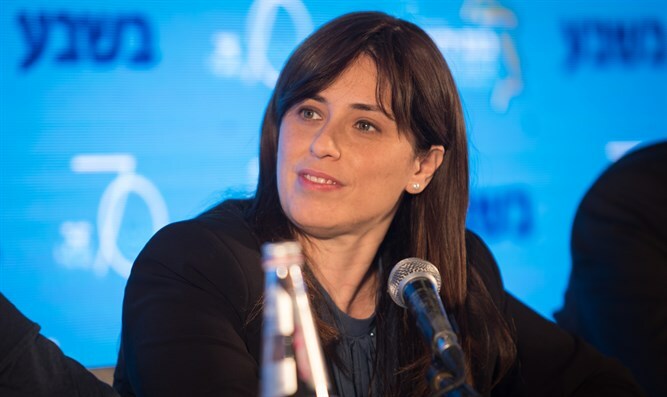 Regarding the feeling that Europe has not internalized the Israeli message, while Egypt apparently did understand and conveyed sharp messages to Hamas, Hotovely said, "If we examine all the countries in Europe, there is no wave of protest against Israel, but in many ways, a lower-level response for the diplomatic world," says Hotovely. "We know condemnations from the past and there is very great hypocrisy that we are not prepared to accept - the hypocrisy in which Israel is not allowed what other countries are allowed to do." And what about Turkey? "We have a complex story with a leader who is trying to create votes in the Turkish public and in the Muslim world at the expense of Jerusalem and his relations with Israel. We strongly condemn Erdogan’s words. We certainly blame him as someone who commits war crimes and is the last who can preach morality to a democratic and human rights-preserving state like Israel. " However, the deputy minister adds that Israel sees importance in continuing relations with Turkey, as an important axis in the region. "Turkey is important because of a number of reasons including air routes - almost all the flights passing from Israel to Europe and the Far East pass over Turkey - there is economy, tourism and other components. We are not quick to fold up the flag and are not talking about removing the diplomatic echelon, but rather about diplomatic relations that are facing raucous arguments, but not a crisis resulting in a removal of relations. " "We have a very warm relationship. I met with their foreign minister two days ago. She had praise for Israel. There is a strong and deep Christian base there, and thanks to this, they see the act as a religious recognition of the Holy City as the capital of Israel. These are things that excite and delight us. "